Check out my latest post on a case study of how Occupy influenced the elections in California in Mobilizing Ideas, a social movement studies blog, which is part of The Center for the Study of Social Movements at the University of Notre Dame, editorial home of the academic journal Mobilization. 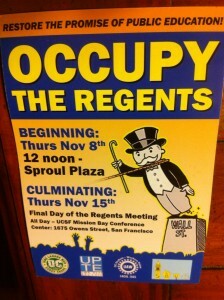 Postcard for recent 2012 Occupy the Regent actions with student and labor activists across the state of California. “With all of the Monday morning quarterbacking after the election, what is often left out of the equation is the Occupy factor. 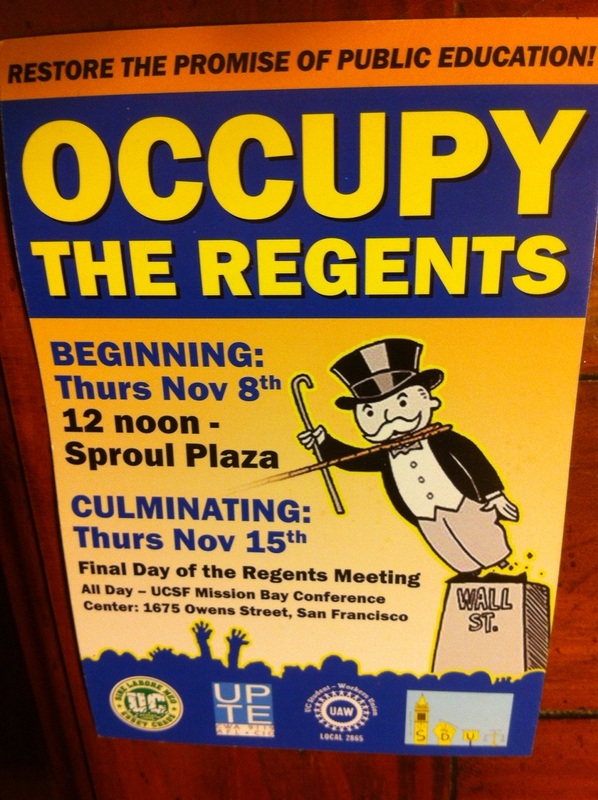 Many dismissed Occupy this past year as ineffective, disorganized and, well, dead. Many asked why Occupy wasn’t working within existing political structures to effect change. But like many social movements before it, working “within the system” can mean something broader than running candidates or lobbying legislators.